The fishing vessel Suwa Maru No. 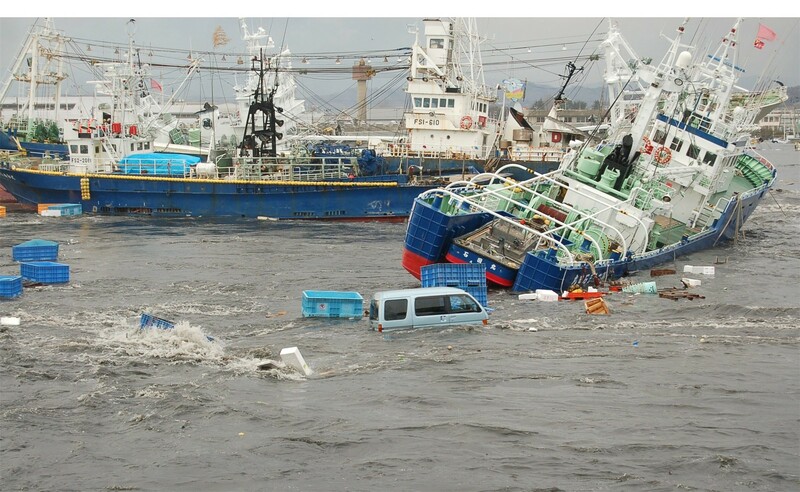 82 was struck by the tsunami while in port at Onahama, Japan. The Suwa Maru No. 82 was partially push atop the pier at a steep angle. The bow of the Suwa Maru No. 82 is high and dry while the stern still in the water.